A Chilean city famous for mining in the Atacama Desert is running out of water. Fast. Irma Astudillo confesses that she replaces her plug-in water boiler once every three months because of the thick white scale that forms and renders the device useless. In that 2011 interview on Chilean television, Astudillo also says that she stores that water—heavy with salts and other minerals—in pots and pans daily in case the utility shuts it off without notice, a common occurrence in the northern Chilean town of Copiapó. For this patchy service she pays 45 percent more per gallon than someone would in Santiago, Chile’s capital. Astudillo, like many residents of Copiapó, has turned to buying bottled water because of water hardness and the threat of shortages. One of the local public schools in Copiapó, Colegio Buen Pastor, has lobbied parents to pay 2,000 Chilean pesos—about US$3.60—per student per month for bottled water for their children. Bottled water in Copiapó costs roughly 10 times more than the tap water. (In Cambridge, Massachusetts, bottled water costs 1,000 times more than tap water.) During my visit, I learned that some residents have even set up small-scale reverse osmosis plants in their homes to sell purified tap water to their neighbors. 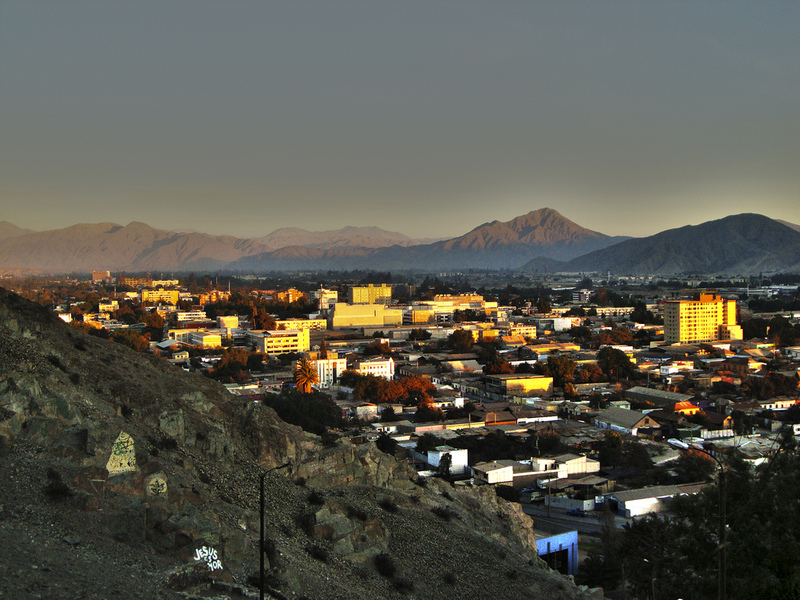 Copiapó, a city of roughly 180,000, grows grapes and olives but its name is synonymous with copper and silver mining. It sits in one of the driest deserts in the world; the Atacama receives 1 millimeter of rain or less on average per year. Needless to say, water is a scarce resource for which Copiapó’s residents have found themselves fighting mining and agricultural companies. Lying along the foothills of the Andes, Copiapó’s water at one point flowed from the mountains into the town. The city used to get its water from this river and from 20 wells east of the city towards the mountains. But the wells that served the city for more than 15 years have been overexploited. Aguas Chañar, Copiapó’s water utility, says that the 90 meter-deep wells dried up so fast that within two years, 19 of them went dry. Today, only one is still operational. In order to satisfy water demand, Aguas Chañar tapped 6 new wells 180 meters deep to the west of the city in a region called Piedra Colgada. While these new wells provide water for the city and for the region’s industry, they produce saltier water because they are closer to the coast and susceptible to seawater intrusion. Also, deeper wells tend to draw on water with more calcium and magnesium (hardness). The depletion of the underground water basins which serve Copiapó is due to more water being taken out than is put back in. On the water use side, Copiapó’s rising population—and the water intensive mining activities around the city—are severely straining available water resources. On the replenishment side, much of Copiapó’s wastewater is sold to the mining companies and therefore not used to recharge the region’s basins. What Copiapó lacks in water it makes up for in valuable metal abundance. (In 2010, a mining accident gained global attention when 33 miners were trapped for 69 days in a collapsed mine outside Copiapó. All were rescued.) The region is one of Chile’s epicenters of copper mining, with a large percentage of the country’s copper exports coming from mines that lie east of the city in the Andes. But mining is water-intensive and competing over the scarce resource are twenty-eight mining companies operating in a country which is extremely favorable to their activities. That’s because in Chile, mining companies buy the right to secure water for their operations under a neoliberal system that established water as an economic good to be bought and sold on a private water market. This is the crux of Chile’s 1981 water code established under the dictatorship of Augusto Pinochet but maintained through the country’s return to democracy. The emphasis on a free market system for water rights has meant the government’s role in water resources management has always been minimized. It also means mining companies are free to buy and retain as many water contracts as they see fit with little governmental regulation. Indeed, Aguas Chañar, Copiapó’s water utility, claims that mining companies buy twice the amount of water rights they require at prices that can reach between US$65,000 and $100,000 for the rights to a liter per second. Today, although 70% of the city’s water basin is being used for agriculture, that number is decreasing because mining companies have beenbuying water rights off of farmers. Chilean water legislation also allows mining companies to own and use any water they find on their premises, which does not belong to the city basin, without declaring or paying for it. 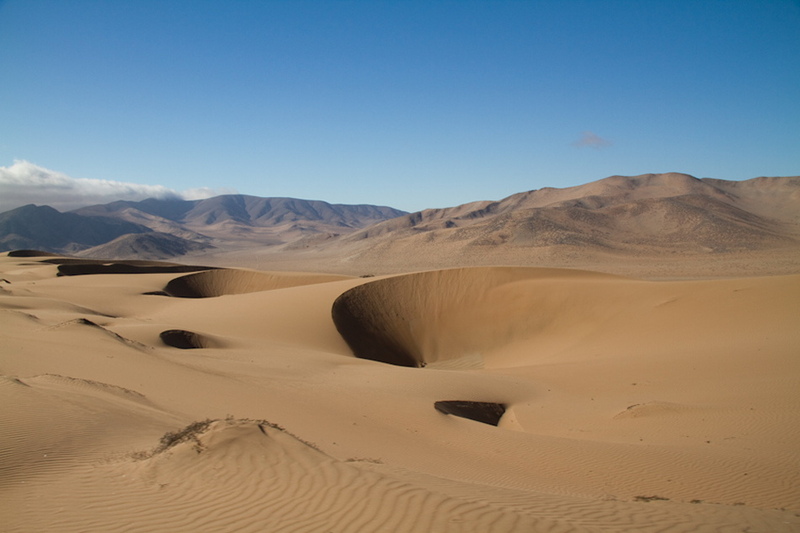 Aguas Chañar explained Copiapó’s water conundrum with three numbers for 2013. Though the basin is recharged with 4,500 liters per second, 6,500 liters per second is being used by farmers, mining companies, and the public, yet the rights to 26,000 liters per second have been doled out mostly to mining interests. An astoundingly large amount of water rights have been doled out. There is simply not enough water to regenerate the basin. Over the last several years, the combined issues of water intermittency, poor quality, and scarcity have reached a fever pitch and resulted in lawsuits against Aguas Chañar from 11 citizen groups. 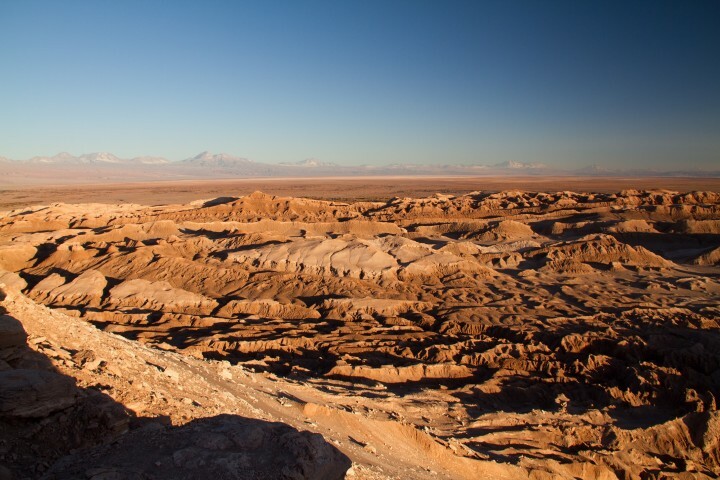 In response, Chile’s Atacama regional government released a Development Plan which included sustainable water availability as one of its seven principal axes. In 2011, to improve water access and quality, a small reverse osmosis plant was installed near the center of Copiapó. Hard and poor quality water from the deep Piedra Colgada wells is now pumped to this plant underneath the dry river bed, pretreated, and desalinated to remove the salts. The pure water is then blended with some of the well water and sent to the public north of the plant. Unfortunately, not all residents of Copiapó receive this high-quality filtered water. Residents in poorer neighborhoods (like Tierra Amarilla, Paipote, and El Palomar) receive the untreated Piedra Colgada well water. El Palomar is fortunate enough to have a nearby well which they use to blend the Piedra Colgada water, but when I visited, this well was expected to dry up in a few months. 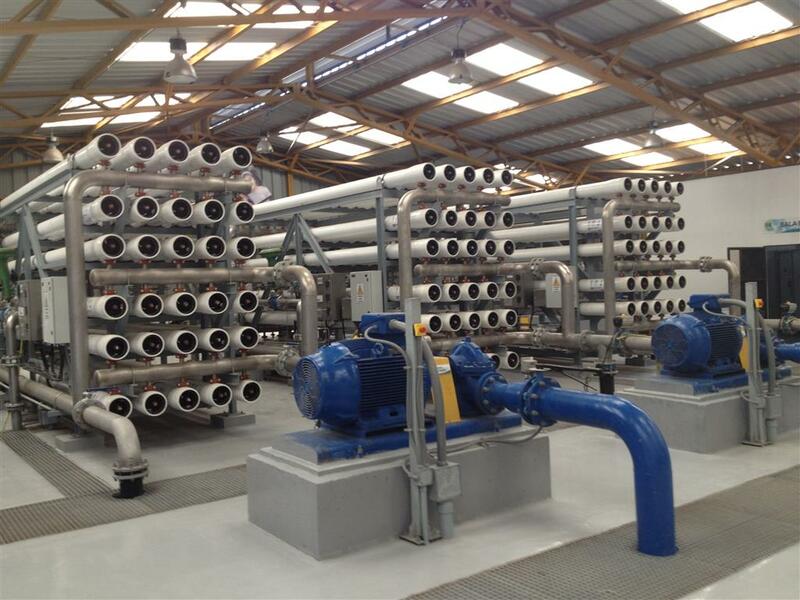 Because this small reverse osmosis plant was not enough to alleviate the water scarcity issue, Copiapó, along with two neighboring cities, has decided to build a large reverse osmosis plant on the coast. The new plant is to be built near Caldera, 70 kilometers west of Copiapó along the Pacific coast. Aguas Chañar, which has contracted the plant, plans to deliver 450 liters per second in 2017 and an additional 450 liters per second in 2022. Most of this water will be pumped to Copiapó and the remainder will be used by the cities of Caldera and Chañaral. Copiapó’s new desalination plant should alleviate some of the region’s water issues, but residents will be expected to pay between 40 and 300% more than what they currently pay, according to Aguas Chanar. And aside from steep construction costs, desalination plants on oceans must contend with red tides (which occur when over-nitrification of seawater leads to explosions in algae populations.) Red tides are capable of shutting down desalination plants for days as was the case in the Chilean city of Antofagasta, according to Patricio Herrada Barrera, the director of research for Andess, the National Association of Health Services Companies. The situation in Copiapó and in other Atacama cities looks dire. The desalination plant on the coast will bring a much awaited constant supply of water to water-starved cities in northern Chile, but at a cost. Do the costs of energy and infrastructure for producing and transporting this water outweigh the benefits? Could further desalination plants be avoided if water conservation were improved and treatment systems upgraded? In Copiapó, like in many places around the world, water is relatively cheap and not considered—or priced as—an important commodity until it is running out. This affects the mining companies, as well. Because these companies use such a disproportionate amount of the region’s water, should they be subsidizing desalination plant construction, water treatment plants, or even the overhaul of the city’s antiquated water distribution system? Along this line, Chilean lawmakers are trying to push through a measure that will make it mandatory for mining companies to purchase desalinated water for operations that use over 150 liters per second, which essentially implicates all major mining operations. As for the private water market, Chile’s current President Michelle Bachelet has expressed interest in reforming water-use rules and hopes to move away from individual privatized rights toward having the state regulate and control water, aquifers, and water basins. Although desalination technology is coming down in price, technology alone cannot solve these problems. Chile needs to balance appropriate water conservation efforts, both economically and politically, while at the same time realizing the strong allure of providing a stable source of freshwater from the sea takes energy, most often in the form of fossil fuel, to run these plants. Leonardo Banchik is pursuing a PhD in Mechanical Engineering at MIT and traveled to Copiapó in 2013 to understand the region’s water scarcity issues with MIT’s Jameel Professor of Water and Food John Lienhard and two professors from the University of Chile. Photos: Evelyn Pfeiffer. Additional reporting: Aleszu Bajak.